The two great loves of my life, TVOR and TIVO are patiently waiting for me to come to bed, so rather than a full story, let's throw three developments out there that I think deserve more attention and call it a day. I still think the Twins will make it difficult for Torii Hunter to walk out the door, but I've been wrong about that before (see Koskie, Corie). The local fan base is starting to understand that the length of the deal is a much bigger issue than the amount of the deal, but there's another happier barrier that might keep the Twins from showing Hunter the money. There are a hell of a lot of replacements for Hunter. You might be a little confused right now, seeing as we've been subjected to nearly limitless rants about how irreplacable a presence Hunter is, but if the Twins don't sign Hunter, they'll have plenty of options on the free agent market. Indeed, not only is center field the lushest position of this year's free agent market, it's more loaded than it has been in recent memory. You've probably heard of Andruw Jones, but there's also Mike Cameron, Aaron Rowand, Corey Patterson, and Kenny Lofton. Granted, none of these guys will replace Hunter's offensive production by himself, but none is likley to be as expensive, either. And at the risk of being labeled a blasphemer by the various high priests of sports opinion, that money is going to be spent, and it's likely going to be spent on offense. And now we can add another name to that list. Kosuke Fukufome of Japan's Chunichi Dragons will likely be coming to the US this offseason, too. 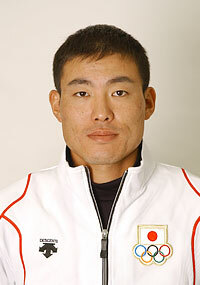 He's played right field in Japan, but has the speed for center and reportedly has an arm that is "better than Ichiro". Given the success Ichiro had playing CF for the Mariners this year, Fukudome might very well end up there next year. Hmm, what else to tell you about Fukudome? He's 30 years old, bats left-handed (darn), and is one of the top stars in Japan. In fact, last year he won the batting title and the MVP with a .351 batting average and 31 home runs. He was hurt this year midway through the season, and is underwent endoscopic elbow surgery, but was hitting .294 with 13 home runs when his season ended. It's a stretch to think that the Twins would subject themselves to the goofy system involved with signing a Japanese player, but even if they don't, this adds one more premier name to the market. It also makes the market that much more lush, and could eliminate one suitor for Hunter. I suppose at this point, nothing should suprise me, but did anyone realize the Wolves made yet another horrendous trade last week? The Wolves sent Trenton Hassell to the Dallas Mavericks for Greg Buckner in a straight swap. It was widely reported as two similar players trading teams. After all, both are defensive specialists who struggle to make much difference offensively. But that misses two items in the small print. First, Hassell is three years younger than Buckner. Second, Hassell's contract has one less guaranteed year than Buckner. So Buckner is older AND more expensive. Quite the exacta. Oh, hell, it gets even a little better than that, too. Both players have a 'players option' for the last year of their contract (Buckner in 2010-11, Hassell in 2009-10). It's for almost exactly the same amount of money, about $4.3 million. Except that Hassell will be 30 when making that decision and Buckner will be 34. So guess which player is more likely to tack another guaranteed year onto the end of that deal? That's right. The guy the Wolves got. c) hurt their financial flexibility for at least one and probably two extra seasons. It's stunning. Obviously it doesn't have the impact of some of the other boneheaded trades this team has made. But when you take into account the simplicity of it (swapping similar players) this might be one of the most blatantly stupid trades McHale has made. I'm determined to blog a lot more this offseason, and I'd really like to mix-in some non-baseball stuff regularly. I'd sure love to see the progress that I see with baseball coverage in this town expanded to some of the other professional teams. The more voices, the better, especially because I still trust bloggers to give us twice as much analysis as we're likely to get in dailies. So, in addition to the Twins (and Vikings) blogs and news that have been at the bottom of MNGameDay.com, you'll now find feeds for the Wolves and Wild. As always, if you know of any great blogs or sites about our local teams that I'm missing, please let me know. The Japanese player’s name is spelled Fukudome, not Fukufome. Another curious thing is that he won’t be part of the posting system, and will instead be an unrestricted free agent – perhaps a first for a premiere Japanese player coming to MLB. One other thing to note on the Wolves trade, Geek - Britt Robson notes over at his new digs (http://www.rakemag.com/today/sports/) that Hassell was out of favor with McHale and Wittman. Jens has already pointed out that, from a cynical fan's standpoint, Buckner is actually cheaper than Hassell, but it remains to be seen if those details are entirely accurate. I would love to see a guy named Fuk-u-dome playing in one of the worst dome stadiums in the world. the fact is, your facts are wrong. Buckner's deal is about 750K per year less than Hassel's and Buckner actually has one less year guaranteed on his deal. Hassel's contract is guaranteed for another 3 seasons including this one. Buckner's contract is guaranteed for two more seasons, with a team option in '09. Obviously, the Wolves won't pick up that option. Look, I like Trenton Hassel. A lot. But in the end, this was an appropriate trade. Notice I'm not saying it's the right trade, or even a good trade, because it's neither of those things. But it is an appropriate one. We traded away a player who was (rightfully) unhappy with the new direction of the Wolves and unhappy with how he'd fit into that new direction. We worked a little bit towards clearing up the massive logjam that we have at the SG/SF positions, and we got a contract that is a little bit more fiscally feasible as well. As noted in the Pi-Press, it's certain that the Wolves will end up paying Buckner less over the rest of his deal than they'd have paid Hassell, but the savings appears to be all at the back end. If you've got a source for your assertion that Buckner is cheaper per year, feel free to share -- otherwise, dial back a bit on the attitude, please. This isn't AaronGleeman.com. ESPN lists Buckner's average salary as $3.5 and Hassel's as $4.35, both with 3 years left on the deal. As reported by the Strib "Hassell is due $4.35 million this season on a contract that runs through 2010. Buckner ... is due $3.5 million this season on a contract guaranteed through next season. So it does appear to be for less money annually and for less years. Stating that the facts are wrong, when they appear to be, isn't having an attitude in my book. if the Twins don't sign Hunter, they'll have plenty of options on the free agent market. Indeed, not only is center field the lushest position of this year's free agent market, it's more loaded than it has been in recent memory. You've probably heard of Andruw Jones, but there's also Mike Cameron, Aaron Rowand, Corey Patterson, and Kenny Lofton. Granted, none of these guys will replace Hunter's offensive production by himself, but none is likley to be as expensive, either. Its nice these guys have name recognition, but that doesn't help win games. Any player who fell off in their power numbers this year ought to be highly suspect. But the real question is whether all those guys are really "available" to the Twins and whether the dollars saved will buy the Twins more offense on the open market. I think the answer to both is probably not. The Twins aren't going to sign the Alex Rodriguez of the world with what they save. And the competition for more "affordable" options is going to be fierce simply because there aren't that many of them. The Twins have a much better shot at signing Hunter than they do Mike Lowell for instance.